After 15 amazing years as the Atlanta 2-Day Walk for Breast Cancer, we are proud to announce that henceforth, we will be known as the Georgia 2-Day Walk for Breast Cancer. 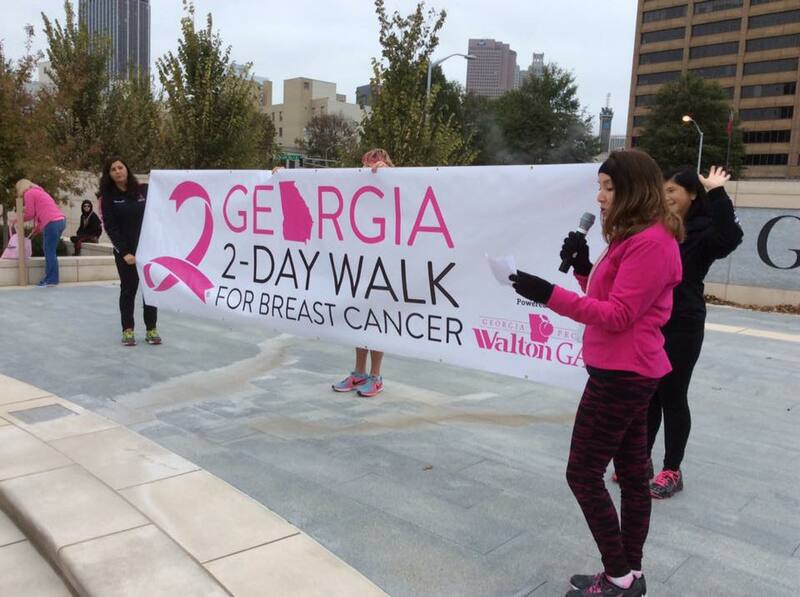 While we may walk in Atlanta, the money raised by the 2-Day goes to breast health and breast cancer programs throughout the state. Our new name allows us to better capture the scale of what we do for communities all over Georgia. We thank Walton Gas​ for helping make our rebranding possible! We hope you’ll join us next year, September 29-30, 2018 as we hit the sidewalks as the Georgia 2-Day Walk for Breast Cancer!